This is the entry on Edmund Burke in American Conservatism: An Encyclopedia (ISI 2006). Entry by Peter J. Stanlis. © 2006 Intercollegiate Studies Institute. Used by permission. 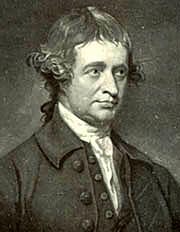 Edmund Burke was born in Dublin, Ireland, in 1729 and died in 1797 at his home in Beaconsfield, England, where he is buried. After graduating from Trinity College, Dublin, he went to London to study law but soon became active in literature and politics. In 1758 Burke contracted with the publisher Robert Dodsley to “write, collect, and compile” an Annual Register, reviewing the political and cultural events of Europe during the previous year. Burke wrote and edited the Annual Register from its first appearance in May 1759 until at least 1765–66, after which he retained supervisory control over it for about thirty years. This highly successful journal, which has continued throughout the nineteenth and twentieth centuries, was a valuable vehicle through which Burke was able to reach the British and American public with his views on political and cultural events. On July 10, 1765, the Marquis of Rockingham became prime minister; the next day he appointed Burke as his private secretary. Burke’s identification with the Rockingham Whigs was the most important personal political decision he ever made. It led directly to his election to the House of Commons in December 1765 and to a career in Parliament for twenty-nine years. For seventeen years, until Rockingham’s death in 1782, Burke was the party whip and a major figure in British politics. Yet he never attained ministerial rank. Burke’s electrifying maiden speech in Parliament, which was given in January 1766 and urged repeal of the Stamp Act, catapulted him to national fame and established him as an expert on the American colonies. From May 1771 until military hostilities began, Burke was the agent in Parliament for the New York Colonial Assembly, a position that gave him valuable knowledge and understanding of the colonies. From beginning to end, Burke’s main purpose regarding Britain’s colonies was to preserve and harmonize American liberty and British sovereignty. He was convinced that the conflict between Britain and America resulted from imprudent actions by the British government, including taxing the colonies without their consent and passing a series of repressive laws, which the colonists resisted through petitions of grievances, boycotts, and other means, and finally through military action that led ultimately to independence. Burke’s Speech on American Taxation (1774), Speech on Conciliation (1775), and A Letter to the Sheriffs of Bristol (1777) were all unsuccessful attempts to persuade the king, his ministers, the majority in Parliament, and the British public of the folly of England’s policy toward the colonies and the great danger in attempting to coerce the Americans into obedience. Burke never believed that the colonies sought independence on speculative or ideological theories of abstract “rights,” but rather that they rebelled as disaffected subjects of Britain who wished to preserve their constitutional rights. Burke never referred to the conflict as the American Revolution, but as the American war, a civil war within the British Empire, in which America “was purely on the defensive.” As the war of rebellion continued, Burke became convinced that the colonies were lost to Britain, and he was among the first to willingly grant independence to the colonies. Burke’s devotion to the cause of constitutional liberty for America and his inveterate enmity against the French Revolution have commanded so much attention by historians that his lifelong concern with Irish affairs has been unduly neglected. Yet the first political work of his public life was his Tract Relative to the Laws against Popery in Ireland (1765), and his last published work was also on Ireland. It was a complete system full of coherence and consistency; well digested and well composed in all its parts. It was a machine of wise and elaborate contrivance; and as well fitted for the oppression, impoverishment, and degradation of a people, and the debasement in them of human nature itself, as ever proceeded from the perverted ingenuity of man. Burke perceived that the best means of depriving the Irish people of their natural and civil rights was to exclude them from the benefits of the English constitution, particularly in economics and religion. Burke’s method in seeking redress for Ireland was cautious, subdued, and prudent, partly because Ireland’s subjection in religion, economics, and politics had deep historical roots, and also because anti-Catholic feeling in England, and among Irish Protestants, was so intense that every attempt to eliminate a few civil disabilities always provoked fanatical resistance. Three elements combined to make Burke’s efforts to help Ireland very complex factors in his politics: his favorable view of the British Empire; his great sympathy with the plight of Irish Roman Catholics; and his general hatred of political tyranny. Yet during the 1770s, when Britain was increasingly involved in American affairs, Burke and his colleagues in Parliament succeeded in partially rescinding some of the anti-Catholic penal laws. In 1778 and 1782 Burke worked to eliminate restraints on Irish trade and to secure relief for Catholics. Although Irish Catholics complained that he did too little for them, Burke lost his Bristol constituency because his political enemies charged him with doing too much for them. In 1793 Burke helped to win the franchise for Irish Catholics. Most of Burke’s policies for Ireland were fulfilled during the nineteenth and early twentieth centuries. Historians have also largely ignored Burke’s politics regarding India. Yet Burke considered his work on behalf of the “undone millions” of India as his most important achievement. The affairs of India occupied his attention for twenty-seven years, from 1767 until his retirement in 1794, but most actively during his last fourteen years in Parliament. Burke’s main objective was to secure a just government for India within the British Empire. To achieve this goal he sought to establish in practice the undoubted legal right of the British government to regulate the internal policies and public actions of the East India Company. He described the East India Company as “a state in the disguise of a merchant,” and he was aware that, under Governor General Hastings, the agents of the company were the real rulers of India. Between 1773 and 1783, Burke came to realize the nature and extent of British misrule in India and therefore abandoned his initial support of the East India Company against the encroachments of the Crown to become its most severe critic. In 1781, Burke became a member of the Select Committee of the House of Commons on the affairs of India, writing many of the reports it submitted to Parliament. In an attempt to provide India with its Magna Carta of liberty, Burke probably wrote most of Fox’s East India Bill (1783). The bill was defeated in the House of Lords, and Burke became convinced that the East India Company was unwilling to reform itself. After much evidence of serious, systematic, and repeated abuses of power under Hastings, in 1786, with the help of Sir Philip Francis and others, Burke drew up the proceedings for Hastings’s impeachment trial. Burke managed the trial before the House of Lords. The trial lasted eight years because of the legal impediments and delays thrown up by Hastings’s lawyers, and ended in Hastings’s acquittal. Many of Burke’s efforts on behalf of India were realized through reforms enacted by Britain in the nineteenth century. In 1769, long before the French Revolution burst upon Europe, Burke had predicted that France was heading toward “some extraordinary convulsion” because of its serious financial problems. A visit to France early in 1773 made him acutely aware of the militant atheism among some of the philosophes, and on his return to England, in his first speech in Parliament on March 17, 1773, he noted that “under the systematic attacks of these people, I see some of the props of good government already begin to fail . . .” Burke believed that the chronic financial crisis of France, and the radical ideology among its “intellectuals,” combined with economic and other causes, prepared the way for the great upheaval in 1789. Burke’s immediate response to the French Revolution was not hostile. For almost a year he allowed events to determine the position he would assume toward France. He noted that when Louis XVI recognized a unicameral National Assembly on June 27, 1789, in which the corporate orders of nobility and clergy were obliterated in favor of a numerical body dominated by the Third Estate, France was thereby committed to a new and revolutionary political and social order. Mob violence spread throughout France from the time the Paris populace stormed the Bastille on July 14 until the end of 1789. In October more than 300 of the more moderate deputies to the National Assembly fled France; the Jacobins assumed control, and proceeded by edicts to demolish the entire traditional legal, political, social, and religious order of France. By then Burke was convinced that the revolution was an evil force, aimed not at reforming economic and political inequities but at destroying the inherited civilization of France and all Europe. Yet not until January 1790, when English radicals expressed strong approval of events in France and held up the National Assembly as a model for England, did Burke enter the public arena to do battle with the French Revolution. Burke’s speeches in Parliament from February to June 1790 were a prelude to his Reflections on the Revolution in France (published later that year). Until his death in 1797, he continued his unrelenting attacks on the revolution in such works as A Letter to a Member of the National Assembly (1791), An Appeal from the New to the Old Whigs (1791), Thoughts on French Affairs (1791), Remarks on the Policy of the Allies (1793), A Letter to a Noble Lord (1796), and Letters on a Regicide Peace (1796). Burke’s Reflections provoked the greatest political controversy ever conducted in English on the social nature of man, on reform and revolution, and on the origins, foundations, nature, and objectives of government and civil society. More than 225 books and pamphlets were written in “reply” to his Reflections, and more than 400 works attacking or defending Burke’s writings on the revolution appeared before his death. The most frequent charge of Burke’s critics has been that after decades of defending the oppressed—in America, Ireland, India, and England—he betrayed his love of liberty and justice by defending the old regime in France, and in so doing was inconsistent with the political principles he had always professed. This charge shows ignorance of Burke, the French Revolution, or both. John Morley disposed of the charge of inconsistency by noting that there was no difference in principles between Burke’s defense of the American colonies and his attacks on the French Jacobin revolutionaries. As Morley stated, Burke changed his front but never changed his ground. His consistency is most evident in his constant adherence to moral natural law and prudence as the ethical and legal standards and strategies for redress against political tyranny and injustice, whether that of kings or democrats.